The quarterly anthology seeks to raise funds by offering advance sales and original artwork through Kickstarter. 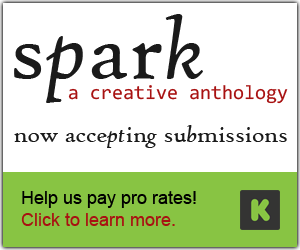 The funds will enable Spark: A Creative Anthology to pay all contributors a fair professional rate for their work. I am committed to the idea that every contributor should be paid for their writing—whether they are experienced professionals or first-time submitters. 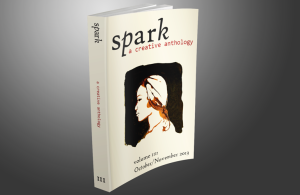 Spark: A Creative Anthology, a quarterly publication of fiction, nonfiction, and poetry from emerging and established writers, announces the launch of their Kickstarter campaign to raise funds in preparation for the release of the anthology’s inaugural volume. The anthology aims to influence the lives of up-and-coming writers by helping them gain experience in the publication process while providing professional feedback on their efforts. Available in both print and electronic formats, Spark makes a specific effort to emphasize the lasting value of the featured content. Spark’s Kickstarter campaign invites global participation in the ongoing project, and includes exclusive rewards for its backers, from advance-order eBook copies of the anthology for US$4 contributions to signed and numbered copies of cover art for higher contribution levels. There are even rewards targeted at writers, such as personal critiques from one of three editors and gift subscriptions to Duotrope. Interested donors are encouraged to visit http://SparkAnthology.org/support for more information. 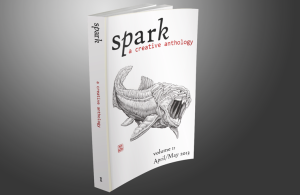 Brian Lewis is confident in the projected success of Spark, and excited by the interest the anthology has already received from writers and patrons of the literary arts. 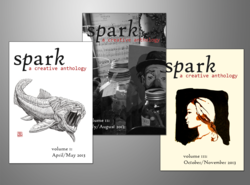 In less than ninety days, the editors at Spark have already received 350 submissions varying in skill levels and genres. “While Spark actively encourages submissions from new writers, regardless of age, we are looking for quality writing and artwork across all genres—from professionals and amateurs alike,” said Lewis. Spark has confirmed contributions from Todd Walton, author of Inside Moves, and John Stocks, a Mariner-award-winning poet from the UK. Traci Gourdine, the well-known poet from Davis, CA, currently chairs the Creative Writing Department at the California State Summer School for the Arts and will write the introduction to the inaugural volume. Margaret Dilloway, an alumna of CSSSA and author of How To Be an American Housewife and The Care and Handling of Roses With Thorns, is currently completing a solicited short story for inclusion in the anthology. Brian Lewis is an active member of the Editorial Freelancers Association, an alumnus of the California State Summer School for the Arts in Creative Writing, and a Senior Software Engineer working on a Master of Science degree in Information Security and Assurance. 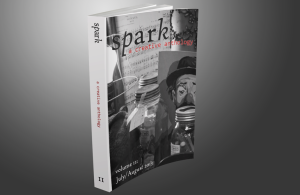 Spark: A Creative Anthology is administered and published by the Empire & Great Jones Creative Arts Foundation, a registered non-profit corporation with pending 501(c)(3) tax-exempt status. Additional details are online at http://SparkAnthology.org/about. Spark’s editor-in-chief is available for interviews, and results of a recent interview can be found at http://tinapollick.com/interview-with-editor-brian-lewis/.